Based on the original 1987 Predator film, this massive action figure marks the triumphant return of the Jungle Hunter to our 1/4 scale line! 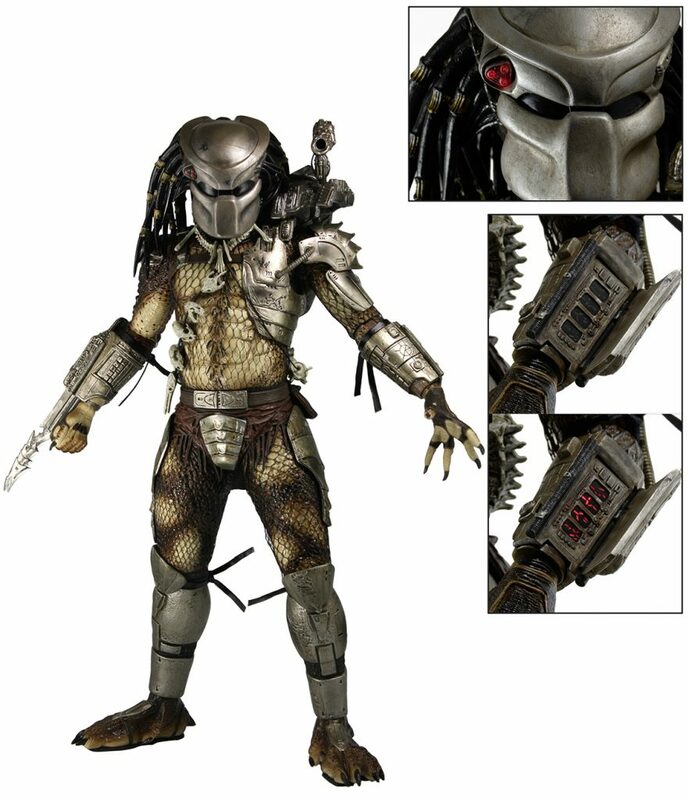 Long out of production, our very first Predator 1/4 scale has been updated to include LED lights in the mask’s targeting system and in the wrist computer, which flips open. The figure stands an impressive 19″ tall and is entirely accurate to the movie design, with over 20 points of articulation and mesh body suit netting. Comes with removable backpack, trophy skulls and necklace accessories. Uses button cell batteries, included. Strictly limited to initial orders, one production run only.